What The Case Against Adnan Syed gets so right about Hae Min Lee. On December 10, 2014, the very first episode of Serial dropped on the podcast charts. Within days, millions of people became obsessed with the murder of Baltimore high school student Hae Min Lee, and the trial and conviction of her ex-boyfriend, Adnan Syed. As Serial host Sarah Koenig spoke to Adnan from behind bars, and retraced his steps on the day Hae was murdered, we became more and more desperate for answers. Did Adnan actually do it? How could his lawyer get away with being so incompetent? What was his so-called friend Jay Wilds hiding? Was the cell tower evidence inaccurate? What about the location of Hae’s car? Thousands of thought pieces were penned, countless Serial spin-off podcasts were launched, millions of group chats were buzzing with opinions on the case. Then, after 12 intense episodes, Sarah wrapped up her investigation into Hae and Adnan and moved on to her next story. Now, almost five years later, a four-part documentary, The Case Against Adnan Syed, is diving back into the case. This time around the story feels more intimate, more urgent, and even more unbelievable. There’s also one crucial difference – The Case Against Adnan Syed achieves something Serial never could – it puts Hae front and centre of the story. In the first episode, Forbidden Love, we’re introduced to 18-year-old Hae Min Lee. Through excerpts from her diary and interviews with her closest friends, we learn about who Hae really was. She was a 90s teenager who wore faded jeans and striped turtlenecks. To her prom she wore a blue slip dress, that sat just above her knees. On her feet were a pair of strappy silver heels, the kind that would have left her with blisters by the end of the night. Hae and Adnan at their prom. Image: HBO. Hae always loved fashion and spent ages doodling in her notebooks. While at a Monet exhibit with her French class, she bought a diary so she could start recording her days because "my life wouldn&apos;t seem typical to most people". She played field hockey and lacrosse. She managed the boy&apos;s wrestling team. She was a fan of the Dallas Cowboys but rarely watched a game. "She was so light and bubbly, it was hard to be in a bad mood around her," Hae&apos;s friend, Krista Meyer, explained. "Whatever she was into she was very into. If it was her relationship she would talk about it in glowing flowery terms, or playing field hockey or lacrosse when we&apos;d come off in huddles." Hae was from a strict family and she wasn&apos;t allowed to have a boyfriend. Despite this, she called Adnan her "baby" and wrote about how he was the "sweetest guy". The young couple would park in supermarket car parks to make out. They would tell their parents they were staying the night at their friends&apos; houses, so they could sneak off to a hotel. When Adnan was crowned Prom Prince, they danced to K-Ci and JoJo&apos;s All My Life. "How could I not fall in love with this guy," Hae wrote in her diary. "I remember our first kiss was at the prom," Adnan says over the phone from prison. "That was one of the happiest moments of my life." 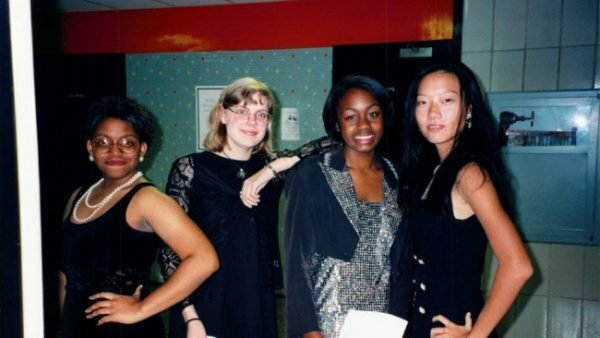 Hae and her high school friends. Image: HBO. By the end of the first episode, the audience has a fully formed picture of Hae in their minds. She could have been one of our own school friends. 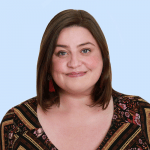 Our mum, our older sister, one of our favourite characters from a 90s rom com. And that&apos;s why this documentary packs such a punch. It&apos;s not a nameless, faceless person who was found half-buried in Leakin Park. This story isn&apos;t just about Adnan, or Jay, or the possible corrupt police force. It&apos;s about a bright, bubbly young woman, who loved hard and fiercely, who dreamed of a big life, who cherished her friends, and who was taken far too soon. In her diary, Hae had just one request for the millions of people who would eventually read it, "Do love and remember me forever, since I&apos;ll always love you all". You can watch the first episode of The Case Against Adnan Syed on SBS On Demand now.